Berlin (just like Paris and New York) is famous for fashion. Any and all styles are permitted and celebrated – the more original and eclectic, the better. Among the most popular and established second-hand stores in the city, there are golden nuggets to be found all around Berlin. Each store offers a variety of styles that span the decades, ranging from fur coats to leather jackets, sequined dresses and college sweaters to knee-high boots. Culture Trip brings you the Berlin guide to vintage shopping. Happy hunting! Colours kleidermarkt is a huge second-hand market where you buy clothes by the kilo. The store is located in Bergmannstraße, you will find it once you cross the yard. This huge store is the best spot to find costumes with cheap prices! They have a happy hour every Thursday between 11 am and 1pm, where they offer a 30% discount. Also tucked away in Kreuzberg, Dress Code is yet another brilliant store. This shop’s deceptively small facade hides a massive quantity of clothes. Shopping in this perfectly organized store is a pleasant experience. They offer everything from haute couture brands like Alexander Mcqueen to small Berlin designers. Men and Women, there is something for everyone. 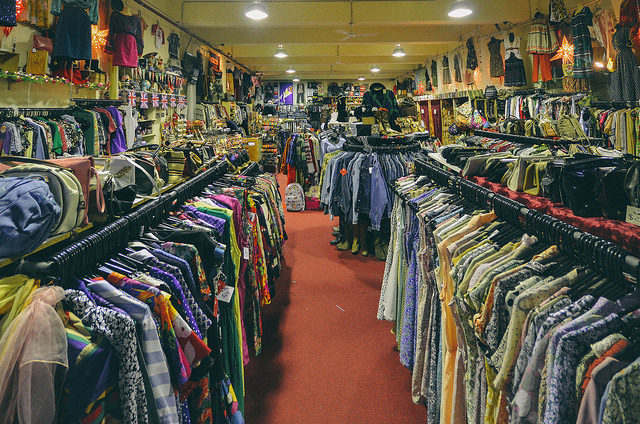 This is an underground paradise of chic vintage, where clothes are ordered by colors and styles in a well-designed layout. They have a wide range of accessories such as belts, bags, jewelry and shoes, and everything in the store is of the highest quality. Staff at Garments Vintage are on hand to give you honest advice. Johanna, Maria and Pola will welcome you to their lovely vintage store. 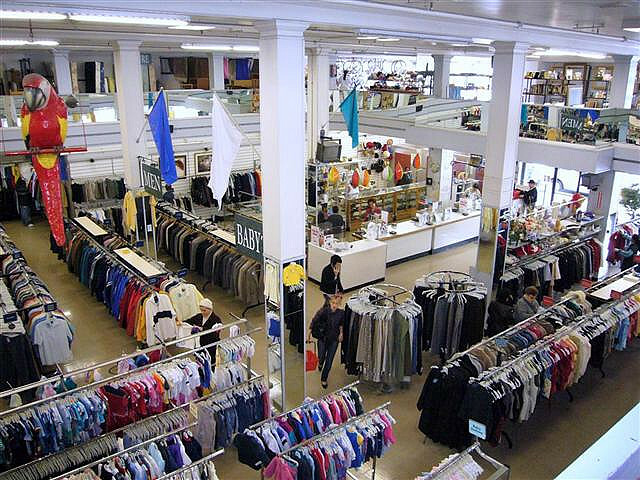 Collect Boutique has second-hand items for men, women and children, as well as a separate area for high-­fashion labels. You can also get a coffee, sit and relax at their indoor coffee­bar. The interior at Mankii Vintage is luxurious and comfortable. It is a great place to discover unique outfits and accessories. On the lower level you’ll find men’s and children’s clothing, which is quite unusual and the store has a very nice display of shirts and dresses. If you are looking for a hippie-chic outfit, this is the place to go.